A brass-necked thief took off his coat in a Tesco store and put on one of the store’s jackets and walked out with the garment without paying for it. Chesterfield magistrates’ court heard on Thursday, November 10, how Danny Bartram, 29, of Pope Carr Road, Matlock, stole the jacket from Tesco, on Hall Street, Alfreton. Bartram pleaded guilty to the theft which happened on February 9. He told police he had fallen on hard times and fallen back into taking drugs and drinking alcohol after a break-up with his former partner. Defence solicitor Kevin Tomlinson said: “He remembers going into the shop during the theft and taking his coat off and putting on a new coat and walking out of the shop. Mr Tomlinson added that Bartram’s life at the time of the offence had taken a downturn after he split up with his former partner but since then he has found work and has a new partner. 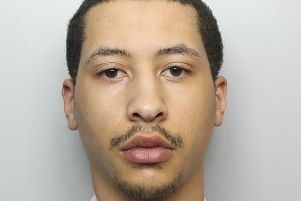 Magistrates sentenced Bartram to a 12 month conditional discharge but warned that if he commits another offence in the next year he will be dealt with for the new crime and for the theft of the coat. He was also ordered to pay £30 compensation and a £15 victim surcharge and £85 costs.